Why go Camping in Bryce? Why should you choose to camp in Bryce Canyon? I mean, is that even really a question? For most who have Googled pictures of Bryce Canyon, that should be enough to convince anyone in itself! The scenery here is unreal, like walking through a martian planet, especially at night. Bryce Canyon is famously known for its night skies, some of the most clear and stunning views of the stars can be seen from here, including one of the most stunning sights of the Milky-Way that you will ever encounter. Bryce Canyon Park even offers a few different Stargazing programs to help bring awareness about light pollution and air pollution in general. There’s annual summer and winter stargazing festivals where you can see up to 7,500 stars in one night. It really is no wonder as to why there are so many visitors to Bryce each year for camping. There are two campgrounds in Bryce, the north and sunset campgrounds. Both Campgrounds are located within close proximity to Bryce Canyon Lodge as well as Bryce Canyon Amphitheatre. There are not any hook-ups here, but there is a fee for use dump site for RV’s. Camping in Bryce Canyon is definitely something that everyone should do if given the opportunity. This is one of the most beautiful places with some of the most captivating sights and natural rock formations that you will ever see. When you go camping in Bryce, you will want to be sure you make reservations to take the bus tour, which is a few hour tour that will make stops at the famous overlooks for sightseeing. There is a variety of other activities as well that go beyond just touring and hiking, like horseback riding, ATV adventures and so much more! 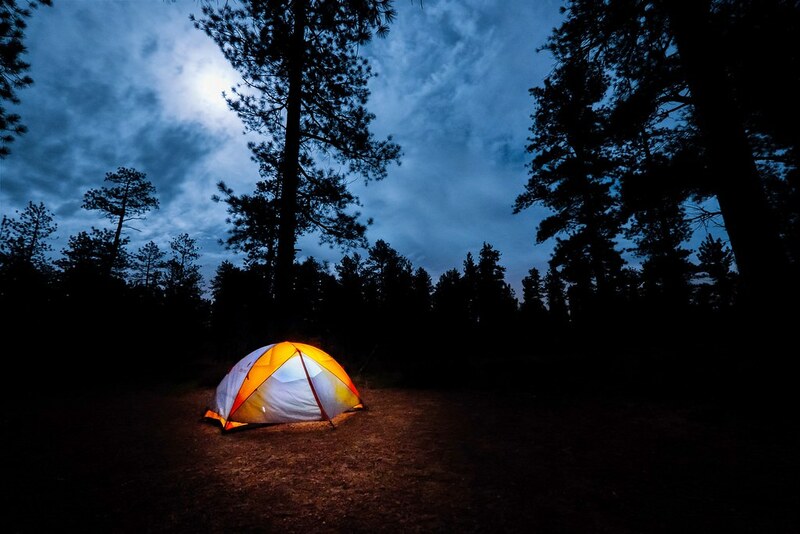 Visit Bryce Canyon, pitch a tent, enjoy the night skies and create memories that will stick with you for the rest of your life.